Help Advocate Mousomee Shome know your legal issue better. Get Advocate Mousomee Shome details by SMS and Email. 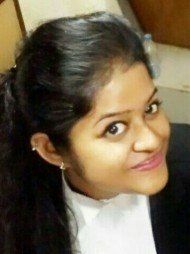 Advocate Mousomee Shome is enrolled with Bar Council of Calcutta in the year 2013 and having an experience of six years at the Bar. She has attained proficiency with fair degree of success in pleadings, arguments, art of representation and meticulous adherence to procedure. She has completed her B.A.LL.B. from Calcutta University and she also has LLM degree in Constitutional Laws. Advocate Mousomee Shome also regularly appears in variety of matters in different forums apart from Hon’ble High Court at Calcutta i.e. different Tribunals like Consumer, Service Tribunals, Debt Recovery Tribunals, Industrial Tribunal, Family Court etc. Advocate Mousomee Shome is also the Hony. Secretary of Youth Bar Association of India (West Bengal Wing) which an organisation of Young Lawyers working for the welfare of the society. She regularly appears before Hon’ble High Court Calcutta in various writ matters related to service including retiral benefits, land, Police inaction, First Appeal, Second Appeal, Appeals from service tribunals, criminal revision etc. She has conducted all types of Civil, Criminal, Divorce, maintenance, child custody, property, arbitration, consumer related cases. 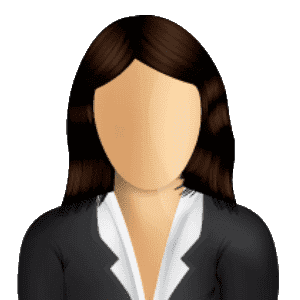 She has appeared and conducted various kinds of litigations relating to Consumer Services and deficiencies including landmark Housing projects before the District Forums, State Commissions and also appeared in Banking matters like SBI, RBI etc. before Courts, Debt Recovery Tribunal, Appellate Debt Recovery Tribunal. She is enrolled with the Bar from 2013 and is a member of Bar Association of High Court, Calcutta. Mousomee was able to understand, very quickly, what was required, and what the procedures and timelines were. Highly recommended. Miss Shome acted upon my case very effectively.And helped me to get judgement quickly.Very transparent in transaction and very approachable.I would strongly recommend her . Mousomee is a understanding, compassionate and an experienced lawyer. 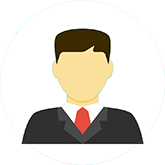 She is very knowledgeable and excellent professional to work with. She is handling my case and I know I am in good hands. My highest recommendations for Mousomee Shome.